Marketers like to talk about the benefits of creating a marketing plan for your business. While doing so is important, how does that plan turn into individual marketing campaigns that drive actual revenue? To implement your marketing plan, you need a complete system for each marketing initiative that ensures its success. Whether you are implementing a lead generation, content marketing or an email marketing campaign, each one needs to have its own action plan that drives its execution and ultimately a significant return on your marketing investment. A marketing plan provides the overall, high level strategy based on the business’s objectives over a period of time. A marketing campaign is a focused, tactical initiative to achieve a specific marketing goal. Executing a marketing campaign requires a step-by-step process that focuses on execution and the resources needed to successfully achieve measurable results. Marketing activities require careful planning so that every step of the process is understood before you launch. Because a marketing campaign is tactical and project based, you need to map out the process from the initial promotional tactic to the ultimate outcome. Pick your target audience: Who are you interested in attracting? Set your goals and KPIs: What do you want to accomplish with this campaign and how will you measure performance? Determine your offer: What incentive will get their attention? Identify your channel: What media channels will you use to promote this offer? Create your optimized landing page: How will you get the visitor to take action? Nurture the lead: How do you help your visitors with their buying journey? Track and measure results: How will you measure success? Before you can choose the what and where of your marketing campaign, you need to determine the who – your target audience, and the how – where you will reach them. I bet you are saying, “we already defined our target audience in our marketing plan!”. In general, you have. But let’s say you offer two services: coaching for independent professionals and consulting for small businesses of up to 20 employees. Which one of these audiences will you target with this campaign? The best way to reach these distinct audiences is to understand their unique challenges and how you can solve them. Define buyer personas for your audience to help you refine your messages to their specific needs as they evaluate their options. You most likely will want a separate marketing campaign for the other target as well. Marketing activities can have different types of outcomes: leads, visitors, visibility or engagement. Each marketing campaign needs to focus on one primary purpose. For example, if your campaign is focusing on lead generation, how many leads do you want to generate and how will you measure success? Depending on the campaign, your offer could be a piece of content, a free webinar, a free trial or something that attracts those looking to buy to your brand. These offers need to resonate with where your buyers are in the buying journey so that you get their attention. Offering an hour long, free webinar to people who don’t know your brand or are not looking to buy could be a waste of time. Providing a short, useful guide may be the better introduction to your brand. Be sure to align your offer with something you know your target buyer needs. The channels you choose will be different depending on your business, target audience and goals. Note: Unfortunately many strategies and channels carry the same names so it is a bit confusing. The channel is the means of communication. The strategy is what you do on the channel to communicate. So your social media strategy is what you post, share and communicate on the social media channel to achieve engagement. Another example is the search engine is the channel for search engine marketing (SEO and PPC). 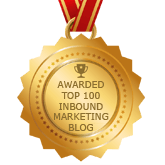 Never, ever land your visitors on your homepage when you are executing a marketing campaign – ever! I’m amazed and shocked at how many people tell me “my SEO company said that building a landing page with no navigation isn’t necessary”! Try not to confuse your visitor with too many options, detailed forms or links that can cause the visitor to move away from the landing page. Lead nurturing is a process of building a relationship with new leads that you acquire through a lead generation campaign. Usually these leads are those more cautious people who may be interested but not ready to buy right now. Lead nurturing is about providing the right content and offers at the right time, educating and providing value through every stage of the customer journey. It is important to track your marketing activities to results. Results will be determined by what your goals were for the campaign. But in most cases, results are usually in terms of sales or qualified leads. Tracking and measuring results can be simple or complex, but is based on the nature of your business. In its simplest form, you can measure cost per lead if you have the details of how much you spend on lead generation. In the more complex measurement arena, you can track your marketing influence to closed deals using marketing automation software. Did you meet the goals? If not, why? 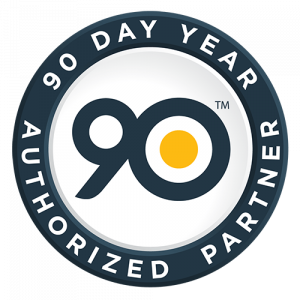 Did your offer satisfy your target audience? If not, what can you offer that will? Should anything change next time you run the campaign? What did you learn that you can apply to your next campaign for this audience persona? 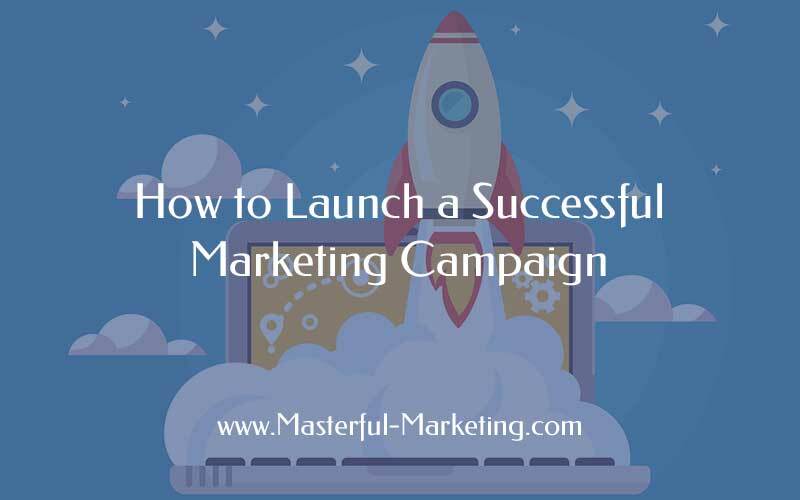 Launching a marketing campaign is not something you can do quickly and achieve results. Each initiative needs to be planned and well thought out before you begin the campaign. Without proper planning, your marketing campaign is likely to fail. What are you going to do to ensure your marketing activities are effective and generate a sound ROI? Get a marketing campaign action plan and editorial calendar by subscribing to my email list. Already a subscriber? Let me know and I’ll send you an update. If you want your marketing to be effective, you need to treat marketing as a process - a series of actions to achieve your particular marketing goal. But unless you create a marketing system, your marketing process could be inefficient and inconsistent, producing results that are less than you had hoped. Great resource of what is needed to achieve a successful marketing campaign! I am new to marketing and I will definitely bookmark this for future campaigns!